This Asian Modern home boasts a chef’s kitchen with connecting family room. This room features a custom wall unit designed to conceal the surrounding windows when viewing the television. 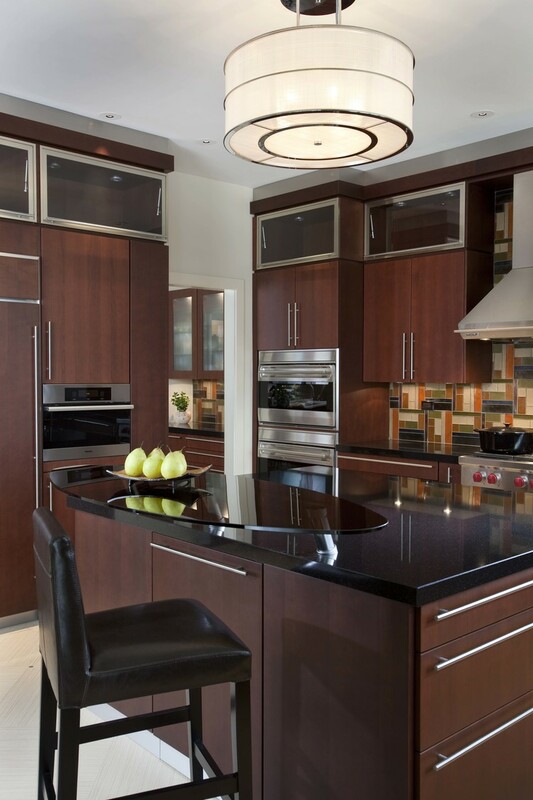 The Poggenpohl cabinetry sets the tone for the quality of all materials selected for this project. 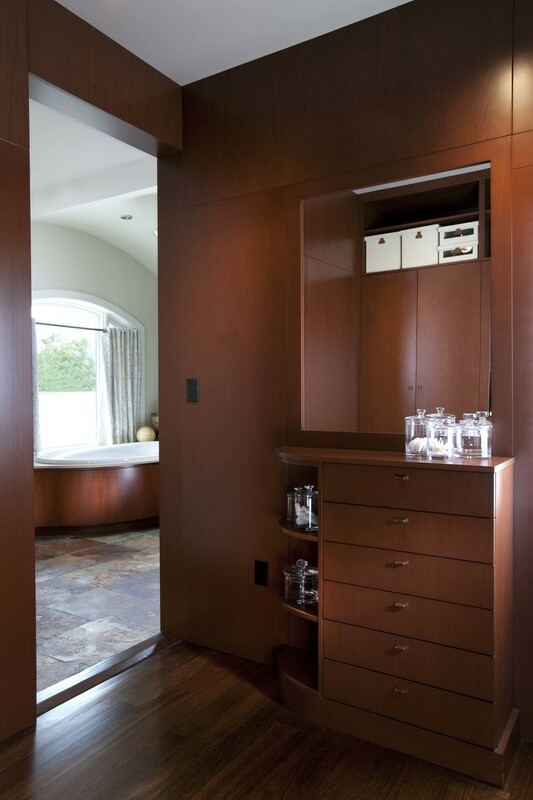 The Cherry Wood veneers stained in a warm brown finish form a backdrop throughout. 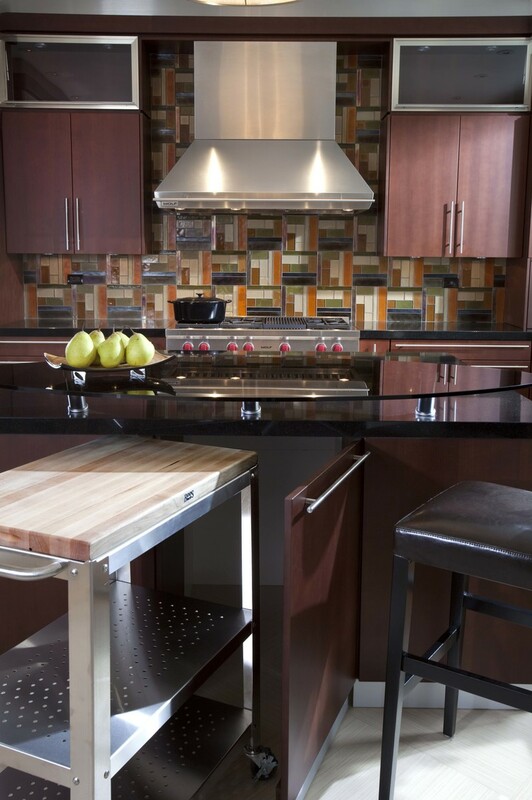 Natural materials and hues are seamlessly incorporated with industrial finishes like the stainless steel and natural stone. 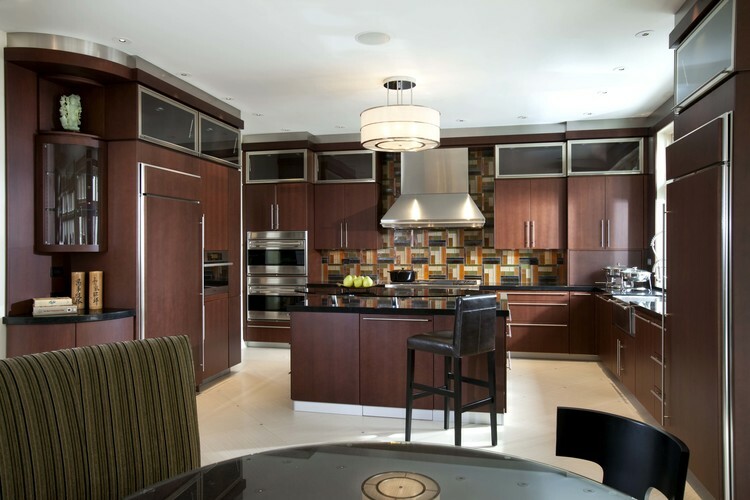 "The homeowner is not only a client, but your design partner. The best partnerships are ones where each member understands their role. The homeowner brings a vision of the dream space they want to live in. 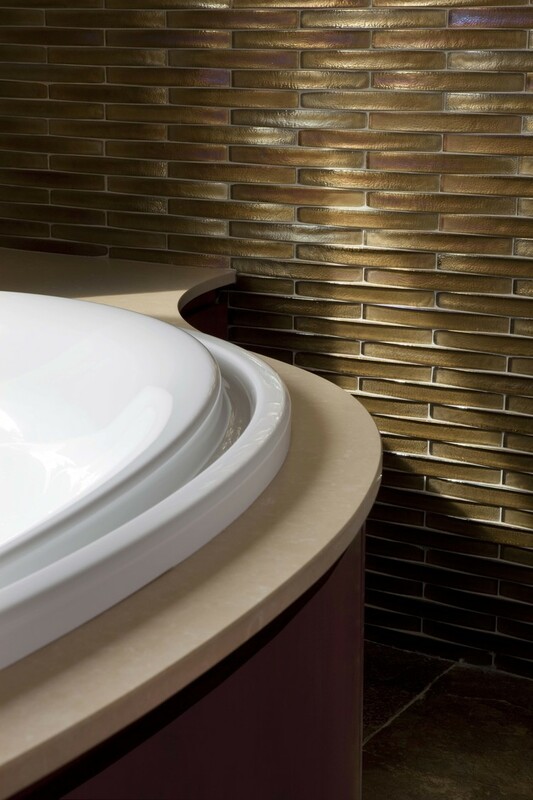 The designer’s expertise and talent is necessary to lead the process from an idea to a real space. "